You know yogurt tastes great, but have you ever used it as a health remedy or beauty treatment? Use the plain, active culture yogurt in your refrigerator to heal a variety of physical ailments and improve your beauty routine. An affordable ingredient, yogurt saves you time and money. The food you eat undergoes a digestive process. Yogurt assists that process. 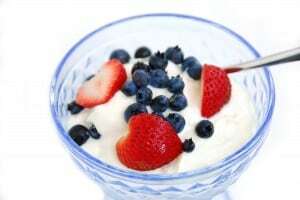 Eat yogurt before meals, and allow its bacteria to work for you. Your stomach and digestive track will operate smoothly, and you’ll feel better without spending a fortune on digestive aids. Painful and ugly, these sores are aggravating. Eat two servings of yogurt every day, and watch your canker sores disappear. You don’t have time to hang out in the bathroom, and you don’t want your kids to suffer either. Try yogurt. The active cultures balance your digestive system and alleviate diarrhea. Uncomfortable, yeast infections can be expensive to cure. Apply plain yogurt topically then rinse it off after a few minutes. The live cultures fight the yeast and produce a fresh, feminine feeling. Painful and dangerous, sunburn can happen any time of year. Apply a layer of cool yogurt to the affected area, and rinse it off after several minutes. Yogurt eases the pain and increases your skin’s moisture levels. Expensive, store bought products contain unnatural ingredients, and they’re expensive. Cleanse and moisturize your face with a generous amount of yogurt. Apply it to your face, and relax for 20 minutes. Rinse off the yogurt with cool, clear water then enjoy your clean and moisturized skin. Commercial finger paints give your kids hours of fun, but they’re often toxic. Make your own natural and edible paint with yogurt and a few drops of food coloring. Your children will enjoy painting on paper, a disposable tablecloth or the shower. The yogurt paint rinses off easily and won’t harm your little ones. Your pets look their best with a shiny coat. Once a month, massage a layer of yogurt into their fur before shampooing them. Your pets will shine, and they won’t have dandruff. You can also use yogurt to reduce unpleasant odors your pet may acquire while playing outdoors. A natural, chemical free product, it neutralizes odors without harming your pets. Yogurt gives your body a boost, and it serves as a ready-made medicine cabinet right in your refrigerator. With so many different uses for this affordable and natural remedy, stock up today. Your family and your budget will thank you.